This is a miscellaneous collection of vintage sewing machine motors and foot pedals. All are used, need a cleaning and some of the motors will need a restoration to run safely. 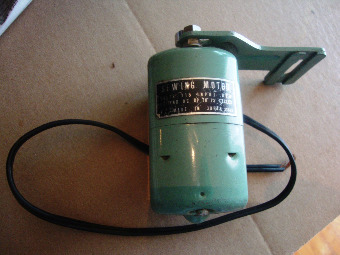 Sewing motor. Untested, selling as is. 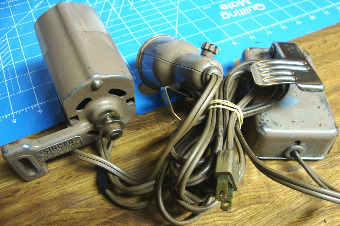 Singer RFJ12-8 Electric Motor, light and foot pedal for Singer sewing machine Model 285. The paint is scuffed and scratched but item works well. NOTE: This item will incur additional shipping charges due to its weight. Contact me for a shipping estimate.